The Roberts Fellowship Program engages a select group of approximately 10 outstanding SVSU students from a wide range of disciplines for an entire academic year in three-hour weekly seminars, a year-long service project of their own creation, and a variety of small group interactions with leaders in a broad range of academic disciplines, state government and global business. The Fellowship has a strong focus on leadership from a global perspective, as well as on encouraging its participants to pursue more ambitious professional goals than they may previously have considered. At the end of the academic year, Roberts Fellows are immersed for two weeks in Asian culture, travelling to China, Taiwan and Japan. They find their experiences to be life-changing and inspiring as they enter into graduate school as well as a broad range of careers. The majority of the expenses for travel experiences and academic courses are funded by the Saginaw Valley State University Foundation. The students will be responsible for part of the expenses. 2. 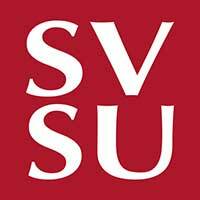 Log in with your SVSU username and password. 3. Recommendation forms can be found on the right. 4. Click on “Submit Application" to begin your application.